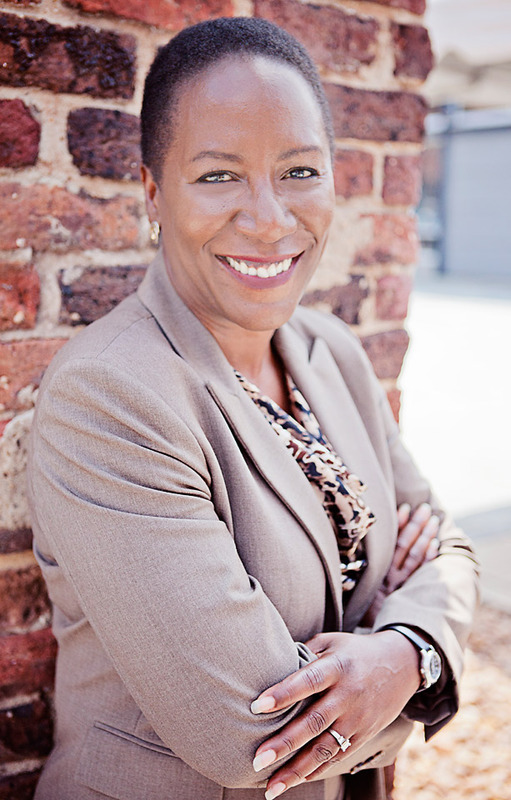 J. Jane Consulting | christy coleman. richmond, virginia | co-ceo of the american civil war museum. mother. friend. When Mr. Stern announced we were moving to Richmond, I was politely hesitant. Recently married, I had just moved from Ohio to Arlington and desperately wished to settle. By nature, I am a nester. And admittedly, we were spoiled living in walking distance to the National Mall and Memorial Parks. I treasured my regular visits to the museums and monuments that combined learning and exercise. As I began to research the former capital of the confederacy, now the capital of Virginia, I grew less agitated as I read about the area’s rich civil war historical sites and recent foodie revolution. During one of my many Richmond research sessions, I came across a TED talk highlighting the work of Christy Coleman. Her passion for education leaped off the screen as she spoke about the American Civil War. She was immediately added to The j. jane Project wish list. Christy Coleman is a woman with diverse passions that bring purpose to her life both publicly and privately. Family is extremely important to her and its definition is not limited to blood relationships. When she says she loves something or is passionate about it, she takes on a level of responsibility to nurture and care for it. The mark of true leadership. It is evident that Ms. Coleman enjoys helping the public examine and ponder the complexity of American history, a critical component to better understanding our current experience and future trajectory as a nation. I am honored that this vibrant woman took time out of her busy schedule to join the j. jane conversation. Few things are ever conscious. I came into the museum field because of my love of acting, performing and history. I was successful in creating historical narratives and dramatic presentations that fueled my academic interests. In time, natural leadership traits were mentored and developed which led to museum management positions. You are the Co-CEO of the American Civil War Museum, which is located in the heart of the confederacy. What motivated you to take on such a position? I was President and CEO of the American Civil War Center at Historic Tredegar—the first museum to explore the war from Union, Confederate and African American perspectives. The fact that it was located in Richmond was intriguing. Virginia is my home and returning to it to engage in a conversation about how people have chosen to remember or romanticize that era was too good to pass up. When the opportunity to combine with the Museum of the Confederacy came about—admittedly I was highly skeptical but also knew I had the power to shape what the new museum could be. I love turning challenges into opportunities that exceed everyone’s expectations and limitations. Did anyone ever try to discourage you from your career path? If yes, how did you navigate through it? The first time I auditioned for a living history position, I was told I was too young and inexperienced to do the role well. I went to the audition anyway and got a spot—it wasn’t until after they offered me the job that they learned I was just a senior in high school! Being told ‘no, you can’t do that’ is usually about other people’s fears and lack of imagination. I can’t think of a time where I let that dissuade me from pursuing things about which I was passionate. After watching your TEDxRVA, it is clear that you are an educator as well as a leader. As our nation works hard to create a brighter history for our future generations, can you explain why it is important to embrace our beautiful, yet incredibly dysfunctional history? We are all beautiful and dysfunctional on some level. History isn’t a trajectory of events instead it is a random compilation of individual, political, social and community actions that at times converge on the sublime or horrific. It is who we are—we need to understand the cues and clues to how people react and behave under stress and success. There was a period when I felt emotionally lost. I couldn’t reconcile what I truly wanted to do with my life and what truly made me happy. My course was often full of diversions, but the path became more apparent when I released myself from shame and guilt. No—but there are moments in each of our days where we must make choices about what is good for us or the others we love. In the end it may be more balanced—but there will be moments of selfishness and selflessness. As a leader, what do you feel is the best action plan for women to pass the torch on to the next generation of women? Making sure that they have a voice, are encouraged to use it, and have the tools to execute their own ideas. Depends on the day, really. Some days, I need solitude to reflect, create or wallow. Other times I embrace those I love most and then there are times when I just bulldoze through it all to get it down or reset the parameters that define success for that thing. Be willing to sit down, shut up and listen to others. Be grounded in the fact that graceful living is about ensuring all that you touch and interact with is better off in some small way because of you. Not by force or coercion, but because you cared enough to truly be engaged. America’s rich history at the The American Civil War Center. Learn more about the newly formed partnership between the American Civil War Museum and American Civil War Center. Additionally, you may want to Ms. Coleman’s TedTalk here.